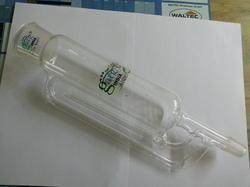 We are offering Soxhlet Apparatus to our client. 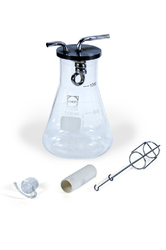 Soxhlet extraction apparatus mental type for 100-300ml flasks. 3/6 mentals with one energy regulators for controlling all heaters. Individual on/off switches but without glass flasks. Available in two different sizes for 3/6 tests. Work on 220/230v ac. Soxlet 250ml, 4nos. with individual energy regulator, 250ml flat bottom flask, 100ml extractor, 200mm condensor. - This mantle has individual on / off switch and pilot lamp with individual Energy regulator is provided for temperature control. - Glass wool is used for the insulation. - Working on 230 volts, single phase, 50 Hz. We offer the wide range of Soxhlet Extraction Unit. - Dry heaters for extractors of Soxhlet.